AN AIRPLANE fuselage constitutes the body of the completely streamlined car shown below. 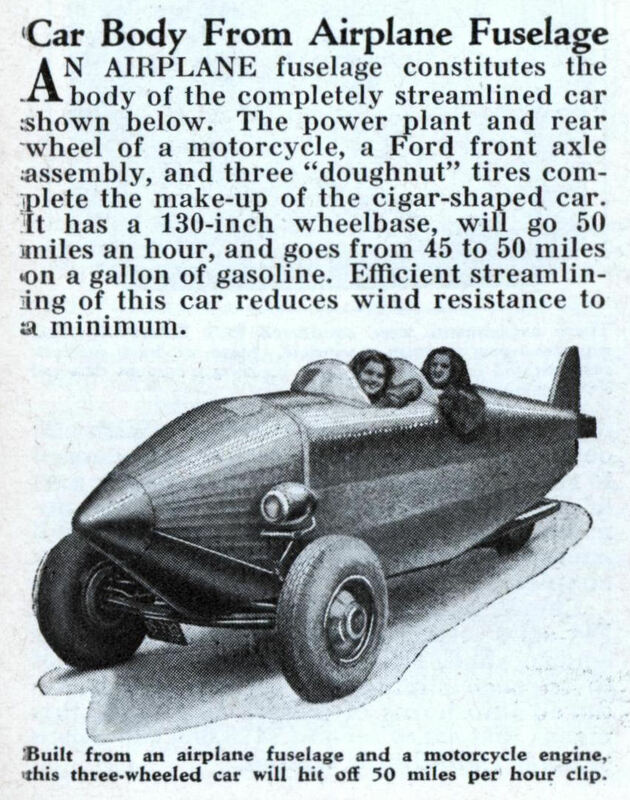 The power plant and rear wheel of a motorcycle, a Ford front axle assembly, and three “doughnut” tires complete the make-up of the cigar-shaped car. it has a 130-inch wheelbase, will go 50 miles an hour, and goes from 45 to 50 miles on a gallon of gasoline. Efficient streamlining of this car reduces wind resistance to a minimum. In the 1950’s there was a vehicle, touring the highways here in Australia, using the fuselage of a DC-3. 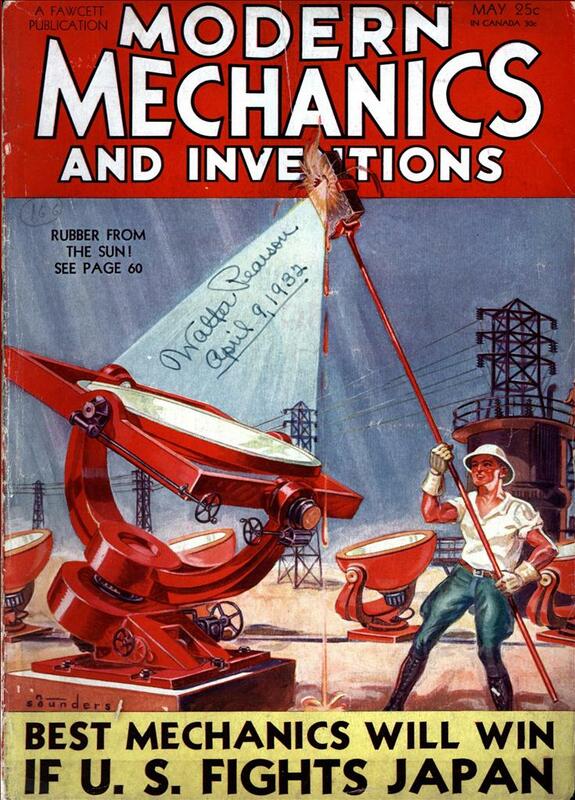 It has since been restored and is operating to this very day.